A luxury cruise ship named Coconut Princess with some invited tourists kicked off a trial voyage from Sanya to the Xisha Islands at 10:00 pm on 6th April, 2012. It’s a trial voyage in a bid to prepare for the Xisha Islands tourism plan. According to the National Tourism Administration of China and the Hainan Tourism Administration Board, Hainan is planning to better develop characteristic tourism at sea, but the Xisha Islands tourism plan needs more study. 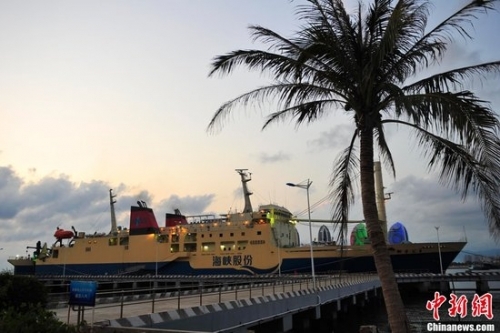 The 2-day trial voyage doesn’t mean the ship route from Sanya and Haikou cities in Hainan province to the Xisha Islands has been put into use. Huang Peng, the deputy director general of the Hainan Department of Communications, said the initial plan for the Xisha Islands tourism is to travel around the north reefs of the Xisha Islands and then cruise back to Hainan.